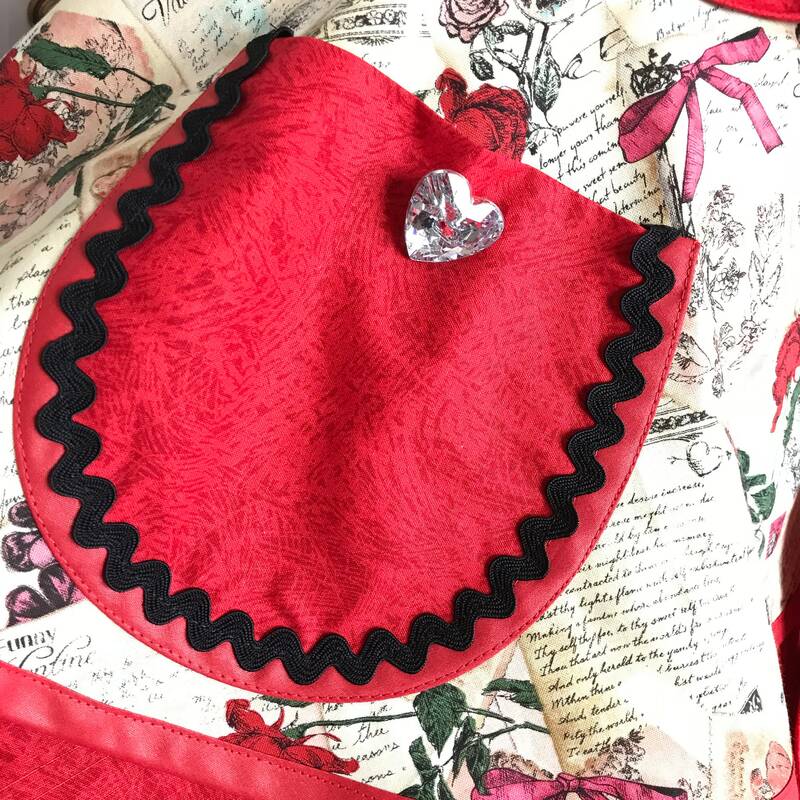 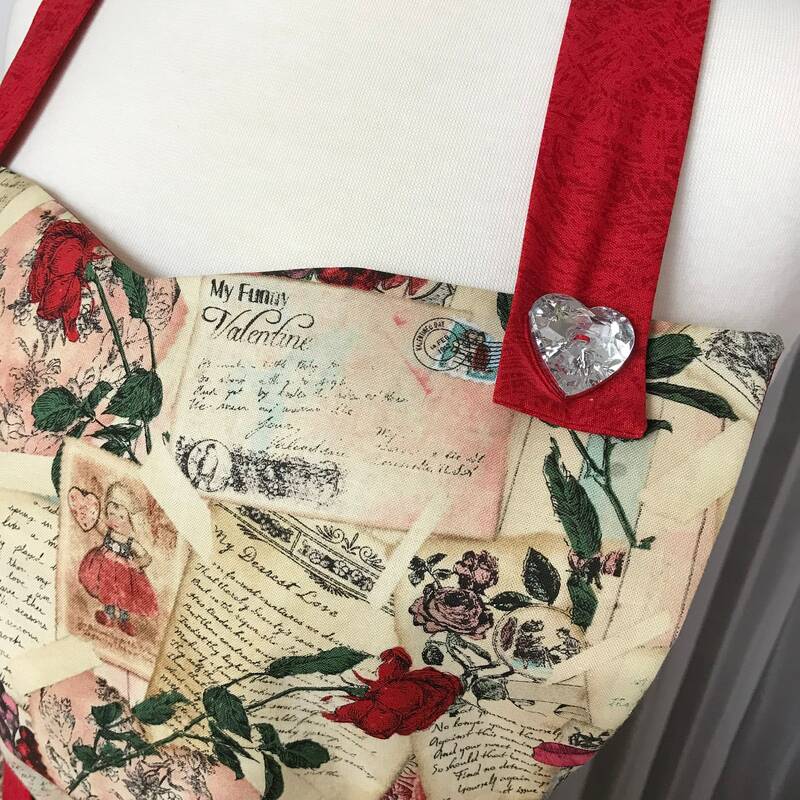 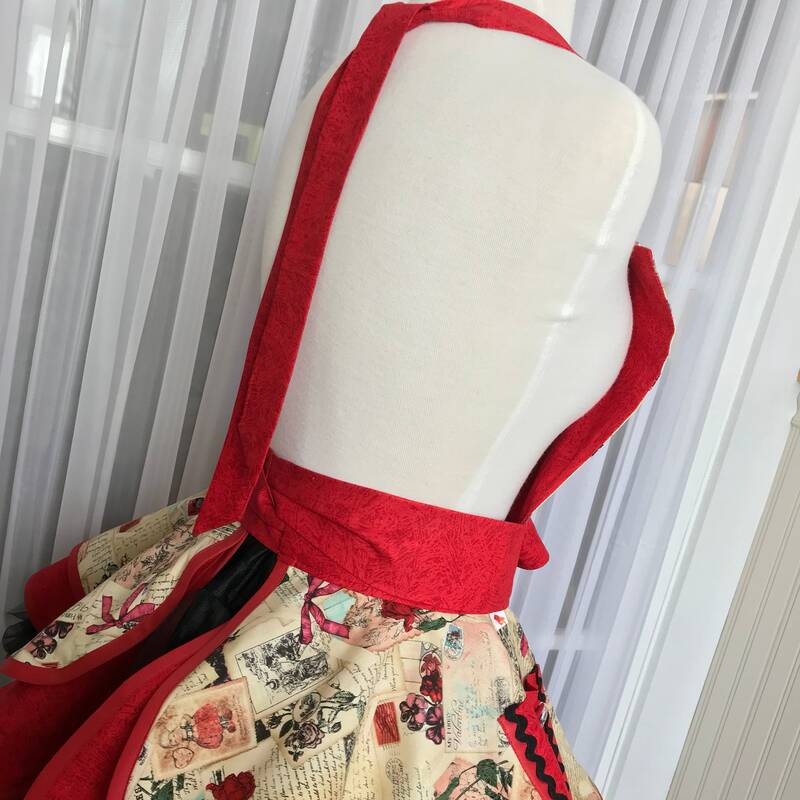 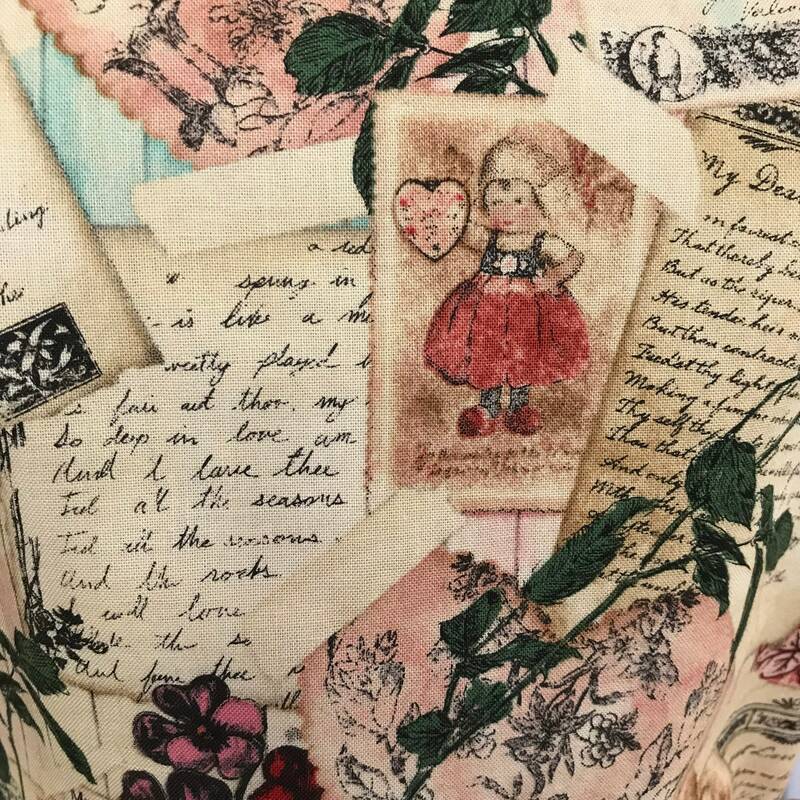 An old fashioned print Valentines fabric made into a cute two tiered apron! 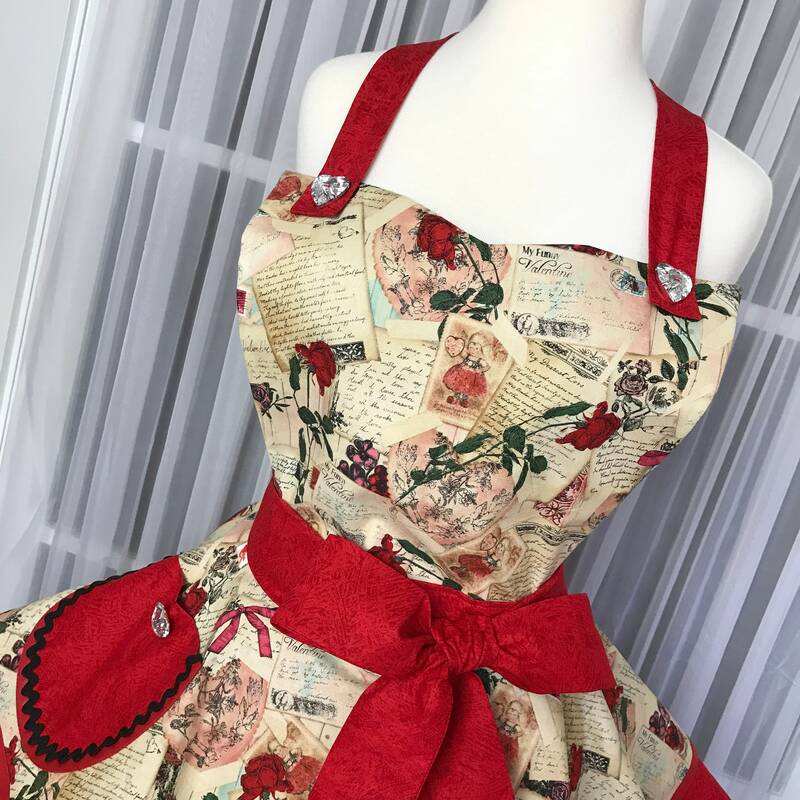 Wear it on Valentines Day, or just to say "I Love You" while cooking that special meal for your significant other! 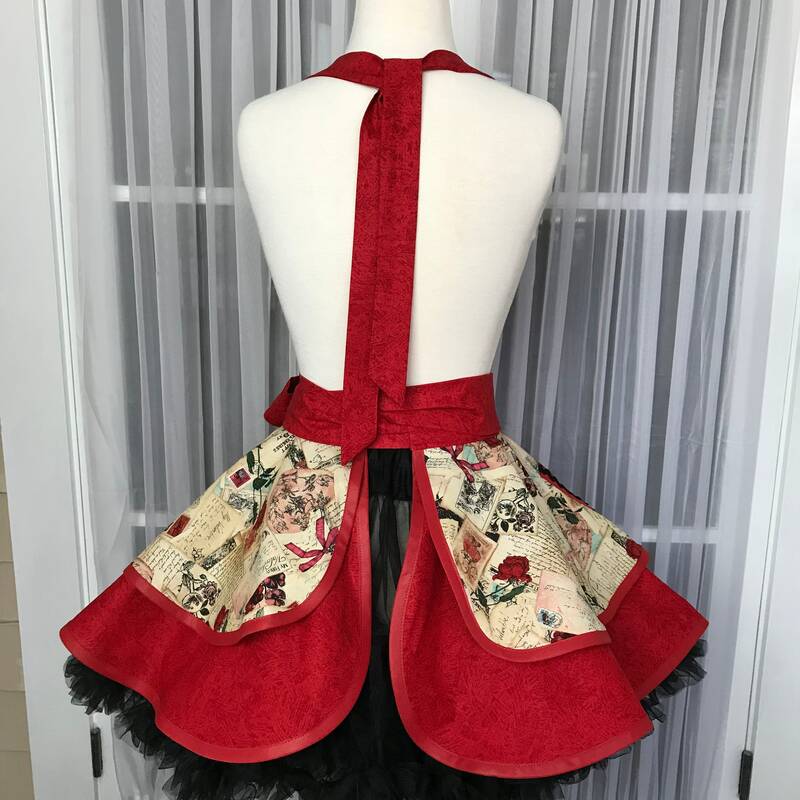 It's trimmed with red binding, black ric rac and glitzy buttons too. 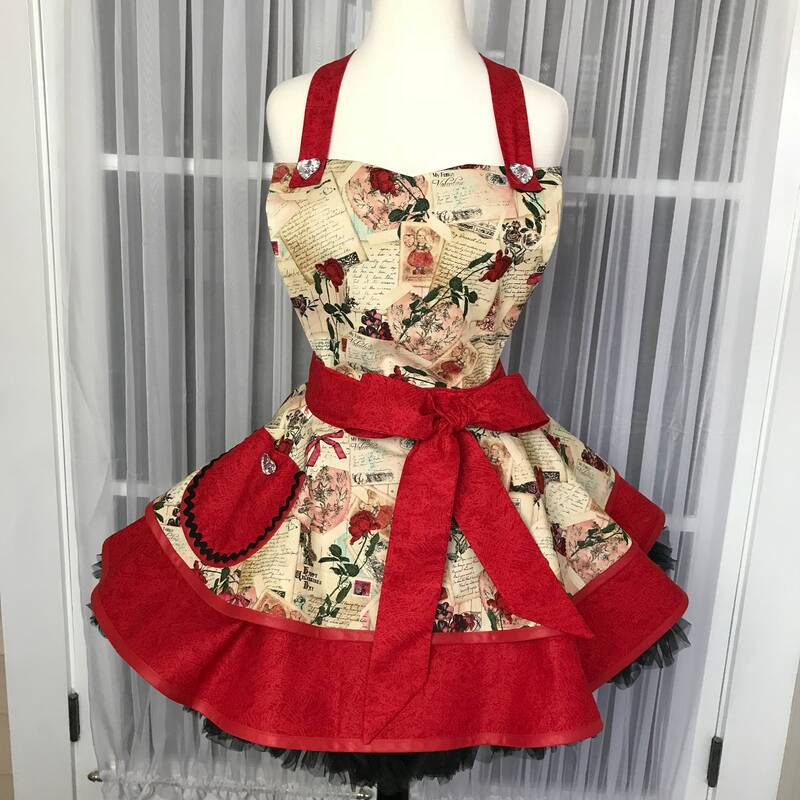 It's a year round apron so use it to entertain or gift it to that special person!